Should you wish to venture on a culinary journey beyond the confines of our Dining Room, Jetwing Warwick Gardens offers the option of choosing from six Signature Dining experiences – a staple specialty across our homes of Sri Lankan hospitality. 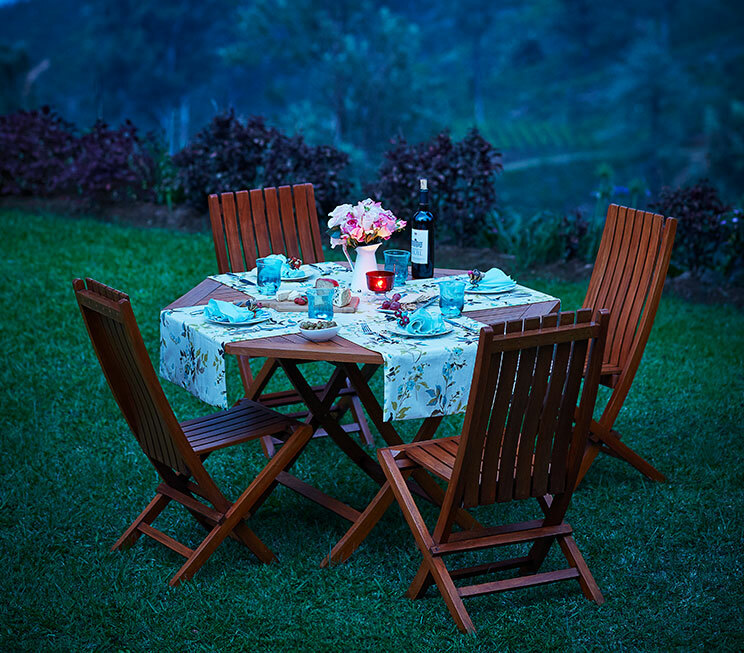 For starters, the pleasant outdoors of our highlands serve as the ideal setting for a picnic on the lawn overlooking the valleys below, a BBQ in the clouds, a campfire under the starlit night sky, or even a simple alfresco dining experience. 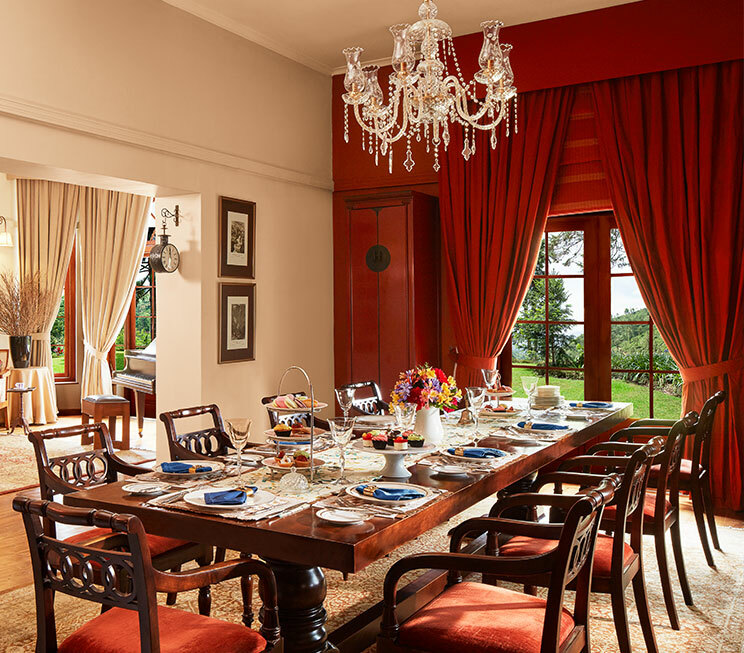 In addition, you may also indulge in the luxurious pleasures of High Tea characteristic of our colonial heritage, or casually savour your meals from the comfort of your own room – including breakfast in bed! 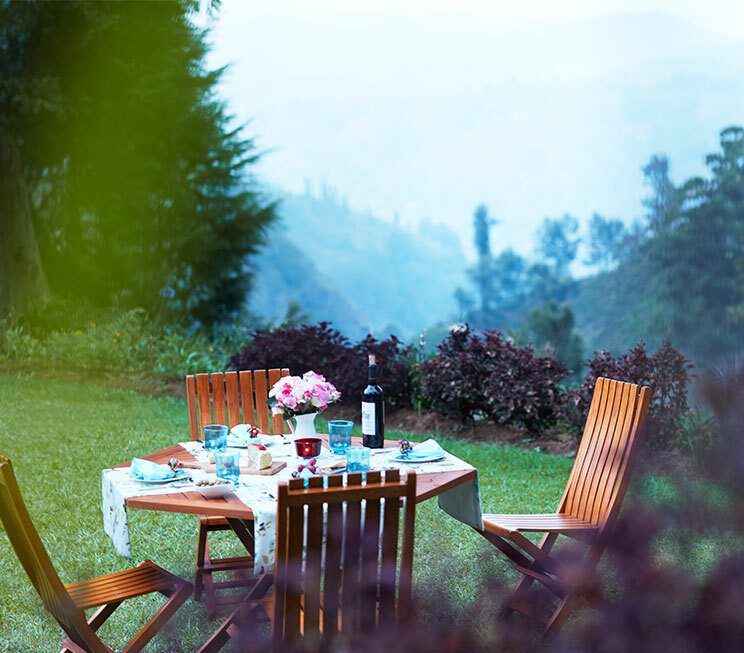 Gather around a warm fire in the cool climes of Ambewela, for mouthwatering meals under a blanket of stars above our upcountry meadows. 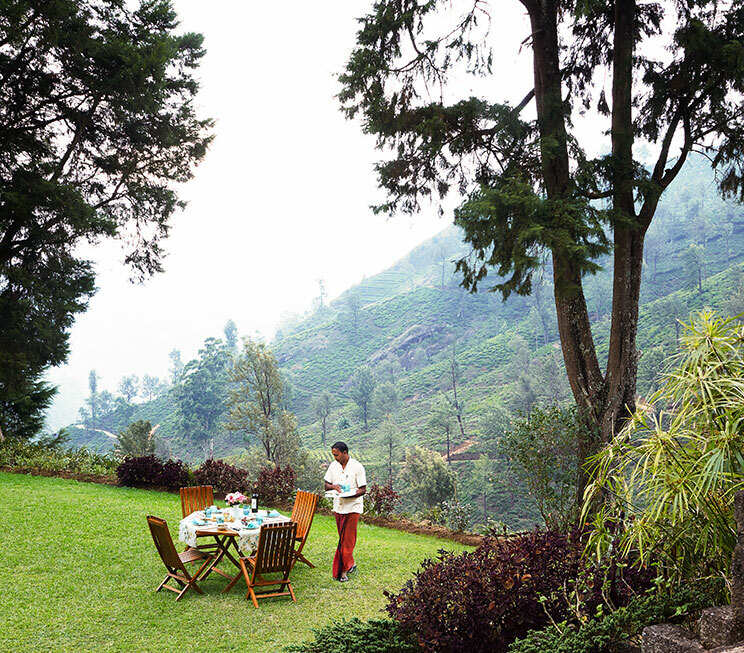 Enjoy a grilled feast of meats upon our expansive bungalow lawn, with outdoor cooking that fills the mountain air with the aroma of our delectable cuisine. 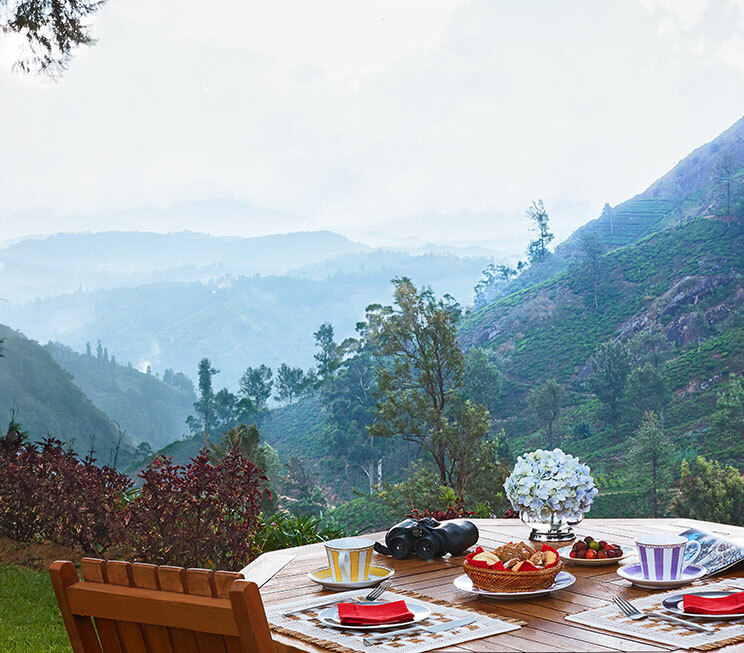 Dine amidst the welcoming mountain air outside our home of Sri Lankan hospitality, at an elevation of nearly 6000 feet above sea level with breathtaking views to complement your meal. 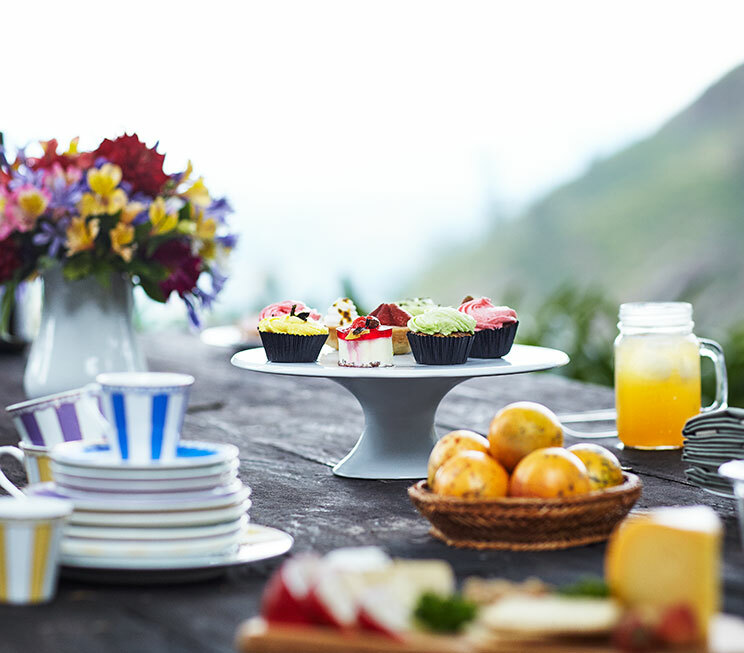 Soak up the highland sunshine with the simple pleasures of a hearty picnic prepared with a number of delights to treat your taste buds in our cool climes. Indulge in the luxuries of our colonial heritage with this traditional English afternoon delight, served with a delicious array of snacks and other refreshments for your pleasure. From breakfast in bed to lunch by the sofa, enjoy your meals in the absolute luxury of your own room with all the comforts you need to savour our cuisine in privacy. 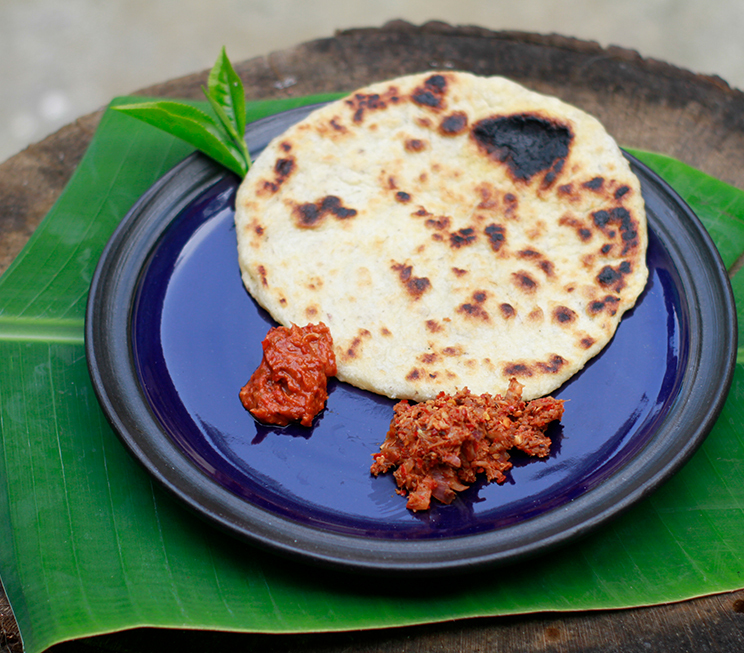 Get a taste of authentic local meals that fuel our iconic tea pluckers, prepared in a firewood hearth and served as a specialty of Meena Amma’s Line Rooms.